The Benito Juárez Market in Oaxaca is a small busy market, in the center of Oaxaca, just one block from the Zócalo and in front of Mercado 20 de Noviembre. 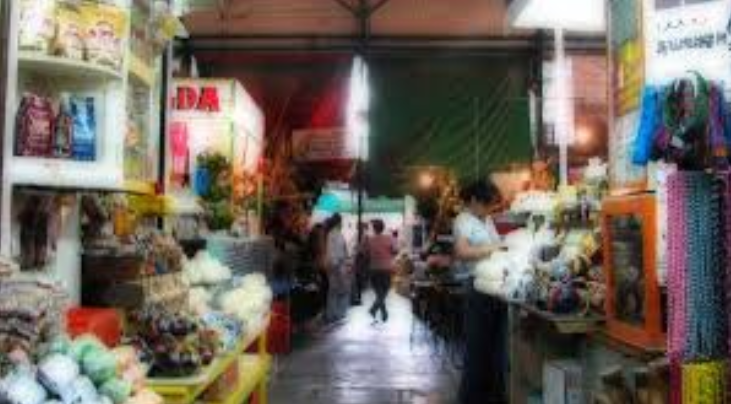 The market is an eclectic mix of stalls that include everything from fishmongers to artisans and clothing. The market is a mix of everything you would want to find in a Oaxaca market. The market is divided into sections, all butchers are in one part, all artisans in another, and all cheese makers in another, etc. In this wonderful little market you can find almost anything you might want to buy as there is a small representation of all the things of Oaxaca here. The market is also very popular with tourists because of its central location, but it is also very popular with Oaxacans. The Benito Juárez market being so close to the center, there isn’t an excuse not to stop by while in Oaxaca.